Who's Buying What and Where? Over the long term, we’ve seen multiple property owners’ share of nationwide sales decrease since 2014, however there was a significant lift in the first two months of Q3 this year. When we split these buyers by those who need a mortgage for their purchase and those who don’t, the lift isn’t as significant. Those multiple property owners purchasing with a mortgage increased from 24.2% in Q2 to 24.9% in Q3 so far (the remaining 13-14% do so without a mortgage). First home buyers have increased their share to the same level of activity we saw before the first round of loan-to-value ratio restrictions were implemented in 2013. So…who is buying in Auckland, Hamilton, Tauranga, Wellington, Christchurch and Dunedin then? In Auckland, the share of sales to multiple property owners has remained near record levels, with a slight lift in Q3, however the make-up of these buyers has changed. While previously as low as 20% of these multiple property owners were buying without mortgages, we’re now seeing this share increase to 30%. This is not due to cash buyers flooding the market – it’s due to those that require a mortgage to purchase property now being unable (or unwilling) to secure that finance. Auckland’s story isn’t just about multiple property owners however: Q3 2017 saw the largest share of sales in the last four years going to Auckland’s First Home Buyers. This group may not be sacrificing their smashed avocadoes on rye, but they are sacrificing on both location and property type - interestingly, apartments aren’t yet preferred by this group. In Hamilton, The surge of multiple property owner activity in the past two years, including from Auckland, is well and truly over but the first home buyer share is on the up and up. In Tauranga, First home buyers aren’t a strong presence but they have maintained their activity levels, which has increased their share of sales because other buyer types (movers and mortgaged multiple property owners) have reduced their activity. Wellington has an active ‘multiple property owners’ market, and (unlike other areas) it’s not just buyers without mortgages propping up the overall share: people buying more than one property with a mortgage are increasing their share of purchases in the Capital too. Prospective movers have significantly reduced their activity in Wellington and first home buyers remain a persistent group. Christchurch is seeing a recent lift in people buying more than one property, which is almost wholly attributable to cash buyers unaffected by lending criteria and interest rates. This group has maintained their activity whilst all other buyer types have dropped off. In Dunedin, non-mortgaged buyers remained a significant share (over 40%) of these multiple property owners. 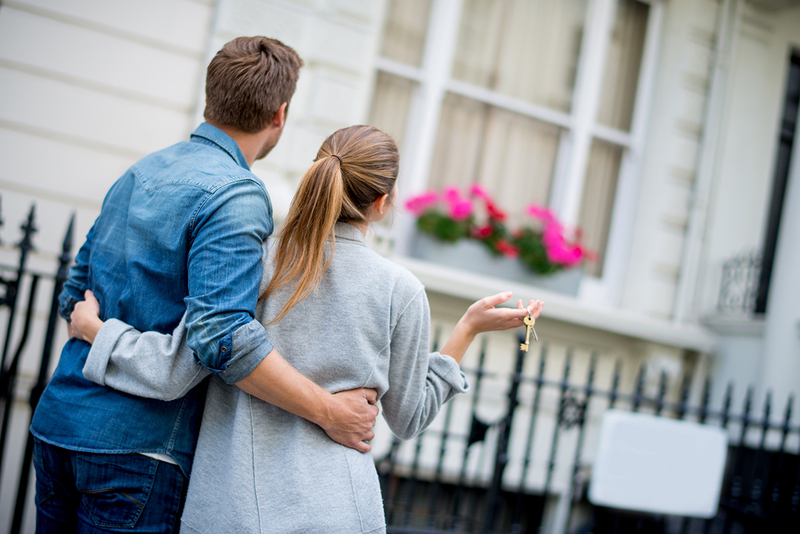 First home buyers had a more active month in August which made up for a quiet July.